Firefighters are trying to determine the cause of a small grass fire that erupted Wednesday afternoon. The fire started around 2:30 p.m. near IH-45 and Tom Sawyer / FM 1182 in Ellis County. 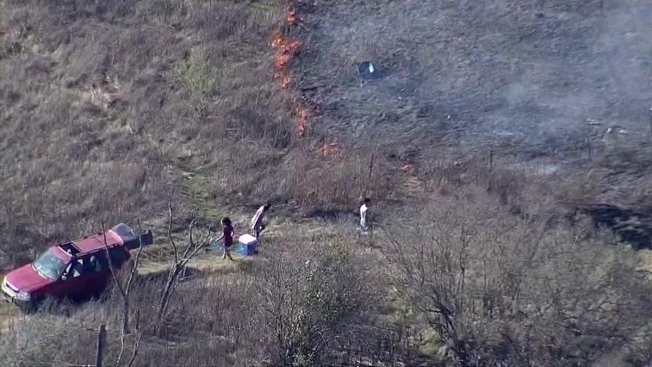 NBC Chopper 5 got video of flames burning through the dry grass, that appeared to get close to a few homes, but the Ellis County Sheriff's Office said no structures ended up being damaged.